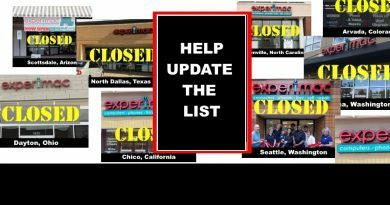 Dr. John Haye’s latest book, “12 Amazing Franchise Opportunities – Second Edition,” has a 5-star rating on Amazon, with 16 out of 16 reviewers raving about it. 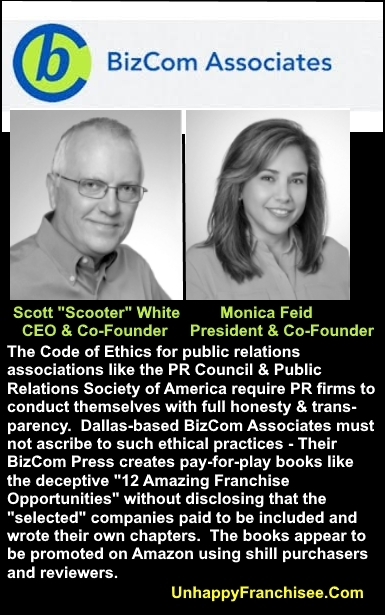 Online review analyzer FakeSpot casts doubt upon the authenticity of these reviews – and upon the honesty and ethics of author Dr. John Hayes and BizCom Press publishers Scott White, Monica Feid & Melissa Rubin. 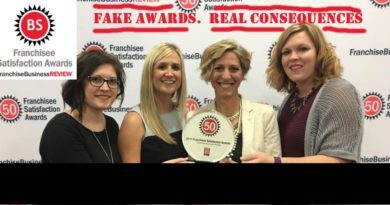 Next Post: FASTSIGNS Franchise Deception Seems, Well, Amazing. Comments? Dr. John Hayes’ latest book, “12 Amazing Franchise Opportunities: Second Edition” currently has 16 reviews. All 16 reviewers gave the book a perfect 5-Star rating. 9 of those reviews were posted within 2 days of the book being posted – hardly enough time for an average person to read, digest and review a 202 page book. 2 of those reviews were written by employees of the publishing and PR company BizCom Associates. Despite Amazon’s rules against employees and publishers reviewing their own books, they posted using their real names. Two 3rd party review analysis services deem the reviews suspicious. FakeSpot.Com is a free content analyzer that purports to scan and analyze reviews on product pages and report the percentage of reviews it deems to be authenticate. It claims its algorithm is designed to detect characteristics that indicate comments by human shills or automated bots. While opinions vary as to the accuracy of FakeSpot analysis, Fakespot’s opinion of the Amazon reviews of Dr. John Hayes’ “12 Amazing Franchise Opportunities: Second Edition” published February 9, 2018 is clear. This product had a total of 16 reviews on Mar 24 2018.
great, best, many, right and valuable. ✓ Correlation with other fake reviewers’ profile data and language.